Mitt Romney has been on the defensive today over a new study that found his tax plan would most likely increase taxes on the middle class in order to pay for a hefty tax cut for the wealthiest Americans. 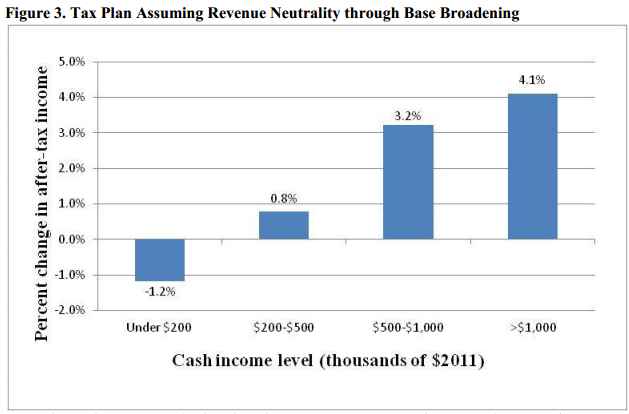 The study (pdf) by the nonpartisan Tax Policy Center scrutinizes Romney’s plan to pay for a variety of tax cuts by closing tax loopholes. It concludes that under the most progressive approach possible, Romney’s plan would give an $87,000 tax cut to people making more than $1 million a year but require 95 percent of Americans to pay more taxes—on average, $500 more per year. “He’s asking you to pay more so that people like him can get a big tax cut,” Obama said from the campaign trail in Ohio today.